You can activate this theme from themes tab. 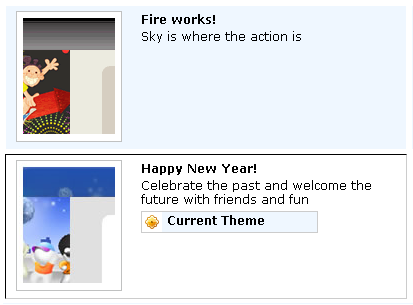 To go to themes tab just click on Happy Ney Year on top of your Orkut homepage. So, just set this theme to give your profile a look of new year and this theme looks nice. wow. lastly, I discovered one thing useful for my paper to jot down about. that is attention-grabbing and helps me with more research within the future. Glad I found this blog.Thank you. And I do hope you will increase some of your ideas about this topic and I’ll sure come again and skim it. Thanks for the hassle and time.